Out of control LGBT activists have taken their battle to the courts seeking to train liberal judges to do their bidding. And now, judges are actually trying to turn children against their parents, and you won’t believe how they are doing it. With parental rights more in jeopardy than ever, the latest string of developments should terrify parents everywhere. To start – LGBT activists would love to get their hands on children and convert them to the dark side. And while activists do have some sway – they know there is one major “obstacle” stopping them from completing their plan– parents. Yes, parents who say “no” to the child who wants to “change genders” and who protest and call attention to the out of control LGBT agenda. 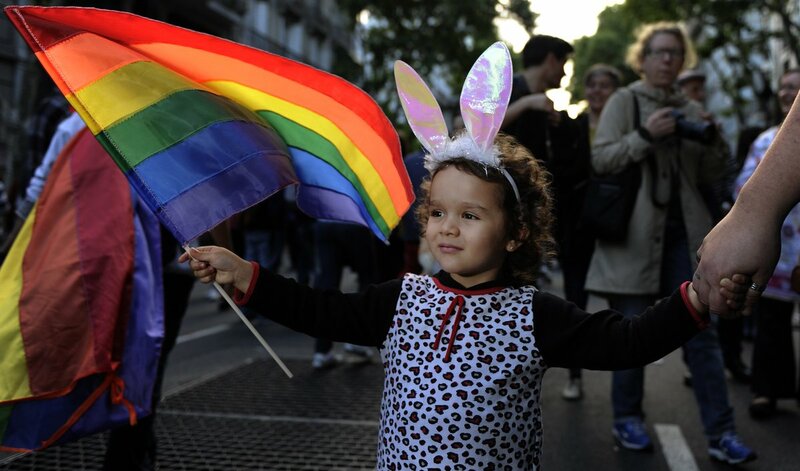 LGBT activists are annoyed at parents and want them out of the way, so they are seeking to override parental rights by using the courts to fight their battle. Dr. Michelle Cretella, executive director of the American College of Pediatricians has been sounding the alarm for years, warning parents on what the current “transgender” trend looks like. And truth be told, it’s horrifying. “I first began hearing from distraught parents in this situation in 2016 and in 2017, I heard from seven families in as many different states in this situation. In all but one case the child was a 15 year-old girl who never had any sexual identity confusion prior to her parent’s divorce,” Cretella said. Essentially, if parents object to hormones from their children, they could lose custody of their children. The LGBT war is literally ripping families apart. Children are raised to obey their parents. And parents have an inherent desire to protect their children, even from themselves at times. But the scary thing is, it isn’t just courts who are getting in between parent and child. Medical professionals are becoming “sympathetic” to the LGBT agenda and are even starting to side with confused “transgender” children. Children who think they are “transgender” should be immediately referred to counseling – not protected by “therapists” and doctors. And parents who refuse to let their child “change genders” should be viewed as good parents, not deemed “abusive” and risk losing custody of their child. By allowing authorities to wrongfully insert themselves into these situations, yet again the child suffers. Do you think judges should have the authority to strip “transgender” children away from their parents if the parents don’t support the LGBT agenda? Why do you think authorities are siding with “transgender” children over parents?